Legends are definitely created in Wales and tucked away in the South West of the Country is Pembrokeshire - the birthplace of legends such as Saint David, King Henry VII and it’s also the source of the historic bluestones at Stonehenge. Recognised as being the only coastal National Park in the UK with a coastline voted second only to that of New Zealand by National Geographic Magazine, it’s included in a Conde Nast Traveller list of the five best National Parks on the planet and has been crowned Holiday destination of the year 2018 by BBC Countryfile Magazine. Pembrokeshire’s stunning 186 mile coastline is a haven for walkers and boasts a total of 56 Coast Awards (11 Blue Flags, 14 Green Coast Awards and 31 Seaside Awards). International sporting events such as Ironman and Red Bull Cliff Diving have themselves have also created legends along the Pembrokeshire coast and have focused a Worldwide spotlight on the county’s appeal and infrastructure to be able to host such events. At just over a four hour drive from Birmingham or London and around one and a half hours from South Wales, the natural beauty of the Pembrokeshire coast and countryside means that it’s a destination of choice for millions of visitors each year, many of who go for the spectacular walks. Other types of tourism, in the form of beach holidays, sport / adventure breaks, faith and historic trails, family parks and zoo’s and the stunning land / seascapes are accessible to everyone and as if that’s not enough, this corner of Wales is now also gaining a big reputation for dog friendly tourism. Last year Pembrokeshire Tourism held the first ever Dog Friendly Pembrokeshire Tourism Awards which were designed specifically to support and promote dog friendly provision of tourism businesses and locations in the county. The aim of the awards is to inspire the industry to become more dog friendly and reach out to the thousands of dog owners who would prefer to travel with their pets rather than face the trauma of separation while they’re away. For the awards, which are totally unique in the UK, Pembrokeshire Tourism teamed up with Burns Pet Nutrition and involved their specially trained Burns By Your Side Reading Dogs (and owners) throughout the whole process including the judging. Who better to judge the best dog friendly beach than a dog itself? Following the success of last year’s awards, the Community Council at Amroth in South Pembrokeshire had dog waste bins and bag dispensers installed along their award winning seafront and in doing so, it recognised the value of dog friendly tourism and shared responsibility to the environment and others. 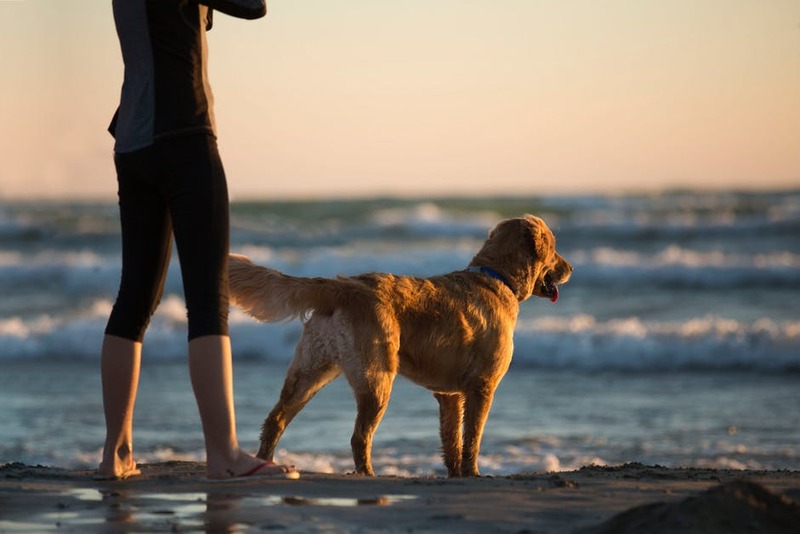 Another coastal community successfully fought a proposed dog ban on the beach at Freshwater East and referenced it’s shortlisting in last year’s awards as indication of its appeal to dog walkers. Pembrokeshire is serious about tourism provision as a whole and about protecting its appeal as a top UK destination of choice for visitors. The Dog Friendly Pembrokeshire Tourism initiative is supported by Visit Wales, Pembrokeshire Coast National Park Authority, and National Trust Pembrokeshire along with other stakeholders and they are all keen to promote the message of responsible dog ownership to everyone who visits picturesque Pembrokeshire with a dog. This project has received funding via the Tourism Product Innovation Fund (TPIF) supported through the Welsh Government Rural Communities - Rural Development Programme 2014-2020, which is funded by the European Agricultural Fund for Rural Development (EAFRD) and the Welsh Government, the Fund aims to encourage new innovative product ideas working in partnership which will have a greater impact and attract more visitors.